CCNAPHILIPPINES VIDEO SERIES | Video#7 - What is a network? Home » Video#7 – What is a network? Idol kamusta? I hope you’re doing good. I’m hoping natutulungan ka nitong mga lessons at videos dito sa blog. If you have questions or anything I can help, let me know lang ha. Here’s our video#7 in our ccnaphilippines video series. 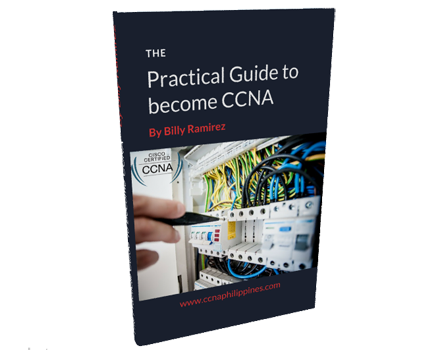 We’re moving on to the chapter II at ang ating lesson#1 for this chapter is the basic and fundamentals of network. What is a network? Ano nga ba ito at ano ang kinalaman nito sa ating CCNA. If you’re a beginner or shifting career, this will surely help you understand the fundamentals lalo na yung mga susunod na lessons so make sure you subscribe and watch out. Again, if you have anything like comment, suggestions, feedback or anything in mind please share them on the comment section or email me here. Until next lesson, cheers!